R-Ladies is a world-wide organization to promote gender diversity in the R community. Our next event will be in March 2019 → see meetup page for more informations. The mission of R-Ladies is to achieve proportionate representation of genders currently underrepresented in the R community by encouraging, inspiring, and empowering them. R-Ladies Global provides support to local (and remote) chapters that exist around the world. Chapters are somewhat similar to R-user groups. There are plenty of chapters around the world, listed here. There is also an app that lists the current meetups and a map that shows the evolution over time. Find material on other chapters meetups at this github repository (search for repositories named meetup-presentations_TOWN). There is also an R-Ladies Remote chapter for people that either work remotely, or have no local chapter nearby. The chapter in Lausanne was founded in November 2017. Inactive organizers are Andrea Komljenovic and Sarvenaz Choobdar . All participants and organisers from our first meetup in February 2018. 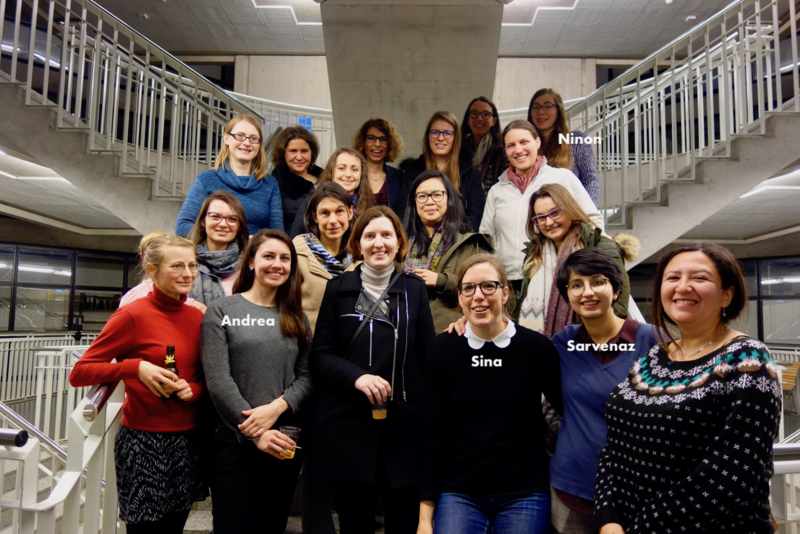 You can contact us via lausanne@rladies.org. Click on subscribe to enable the RSS feed for this site. Find material on our github repository. We are supported by R-Ladies Global and the R-consortium. We follow the Code of Conduct and encourage participants to read Rules & Guidelines of R-Ladies. R-Ladies lives through its participants. We always need speakers for meetups! Please get in touch with us at lausanne@rladies.org. Find more details to speaking here.